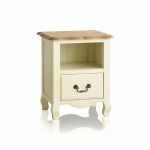 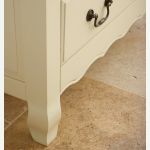 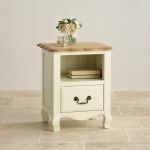 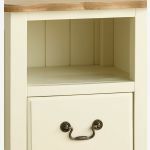 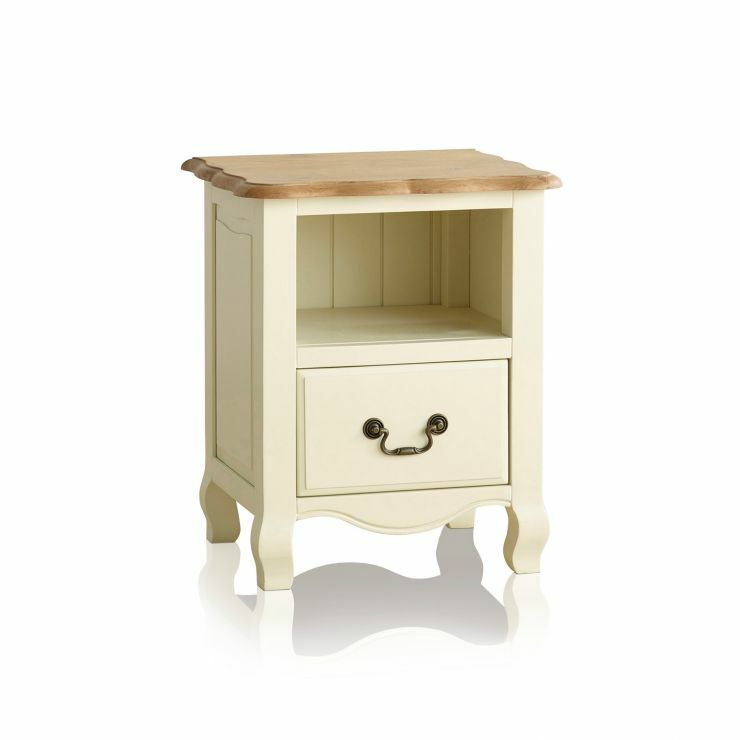 The Bella Brushed Oak and Cream Painted 1 Drawer Bedside Cabinet features the distinctive carved feet and lightly brushed finish on the gently curved top edges; a timeless design that will look great for years. 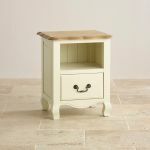 Providing a single drawer, painted in a subtle cream finish with a contrasting dark metal drop handle, a handy storage shelf and space on top, there is adequate room for a bedside lamp, alarm clock and reading material. 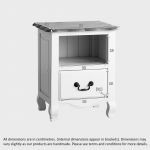 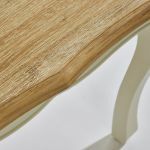 The drawer is constructed using traditional dovetail joints with solid hardwood back, base and runners for supreme strength and durability.